The HALO Housing Program in Jefferson City is an 18 month-long program that provides free housing for pregnant, parenting, and non-parenting youth ages 16-21 years old who are in homeless or high-risk situations. Parenting youth can stay a maximum of 24 months in the program. HALO defines homeless youth as, “minors who are not involved in the foster care system and cannot live with their biological parents due to situations such as: parents being incarcerated, addicts, physically or emotionally abusive, who take no physical or financial responsibility for their children, or parenting teens who are not welcome in their parents’ home due to financial burdens or religious beliefs”. The goal of the HALO Housing Program is to help youth get out of “crisis mode”, set long-term goals for themselves, and learn how to live independently. 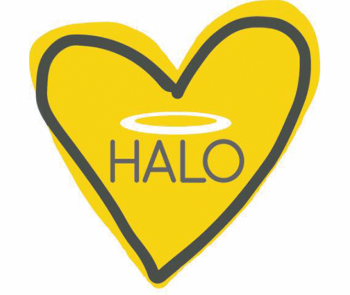 The HALO Housing Program provides children of parenting teens a safe and stable living environment and assistance in securing daycare. Youth who are accepted into the program are required to finish high school with a diploma (if they have not already done so), and seek and obtain part-time employment while they are in school. Youth who have graduated from high school must either obtain full-time employment or start college classes. Youth are required to participate in life-skills workshops, which are aimed at teaching them how to live independently. Parenting youth are required to take weekly parenting classes. HALO staff work with youth on 7 main focus areas: Education, Employment, Budgeting, Parenting/Relationships, Health, Spiritual, and Transportation. Each youth meets weekly with HALO Staff to work on their goals and assess their progress throughout the program. Please contact Lead Residential Supervisor of the Transitional Living Program Lauren Bateman at laurenbateman@haloworldwide.org with any questions. Apply for the HALO Housing Program here.